WASHINGTON, D.C., March 27, 2019—The men and women of the U.S. plastics industry made the case for greater recycling infrastructure today at the 2019 Plastics Industry Fly-In. In more than 100 meetings with members of Congress and their staffs, dozens of representatives from the nation’s third-largest manufacturing sector advocated for increased investment in the equipment, systems and other technologies that would enable the U.S. recycling industry to capture and recycle more plastic materials—a solution that would preserve the value of plastic products while addressing serious environmental challenges like litter and marine debris. Headlining this year’s event was Environmental Protection Agency (EPA) Administrator Andrew Wheeler. In his remarks to Fly-In attendees, Wheeler emphasized the Administration’s commitment to infrastructure reform that includes recycling and waste management. 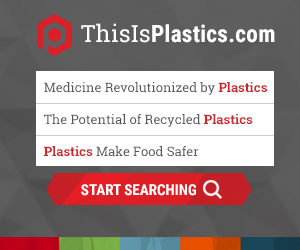 The Plastics Industry Association (PLASTICS) has been leading an effort to rally support among all materials to modernize the nation’s recycling and waste management infrastructure. While infrastructure reform was a key part of the plastics industry’s message, attendees at the Fly-In also advocated for other reforms including enacting open competition policies for plastic pipe on federal infrastructure projects, approaching trade and tariffs in a way that promotes global growth and developing the next generation of manufacturing workers. In addition to PLASTICS, the American Chemistry Council (ACC), the American Mold Builders Association (AMBA), the Plastics Pipe Institute (PPI) and the Manufacturers Association for Plastic Processors (MAPP) also participated in this year’s Fly-In.